Complimented by large windows and plentiful open space, 120 West Wieuca invites new townhome owners with exceptional designs ideal for entertaining. These spacious units open up from the main living areas to sunrooms and decks, allowing for abundant indoor and outdoor living space. In addition, dual walk-in closets and dual vanities, along with a soaking tub and large shower, join the owner’s suite. A sky terrace also invites additional space, ideal for kicking back with a cocktail at the end of the day, or starting your day with a morning cup of coffee. With multiple levels of living space, the townhomes of 120 West Wieuca all offer between three- to four bedrooms, including a two-car garage. Found adjacent to neighboring Chastain Park, this gated neighborhood is sophisticated and convenient, also close to Sandy Springs and Buckhead. As well, the townhomes enjoy a low-maintenance vibe, with lock-and-go living in a prestigious address. For more information about 120 West Wieuca townhomes for sale, contact The Zac Team today at (404) 564-7272! Listed below are recently closed sales at 120 West Wieuca in Atlanta. Whether you’re thinking about buying or selling a townhome at 120 West Wieuca, checking to see what other comparable properties have sold for in recent weeks and months provides helpful insight into current market conditions within the community. For more information about 120 West Wieuca townhomes for sale or for a complete list of recent homes sold in the neighborhood, contact The Zac Team today! 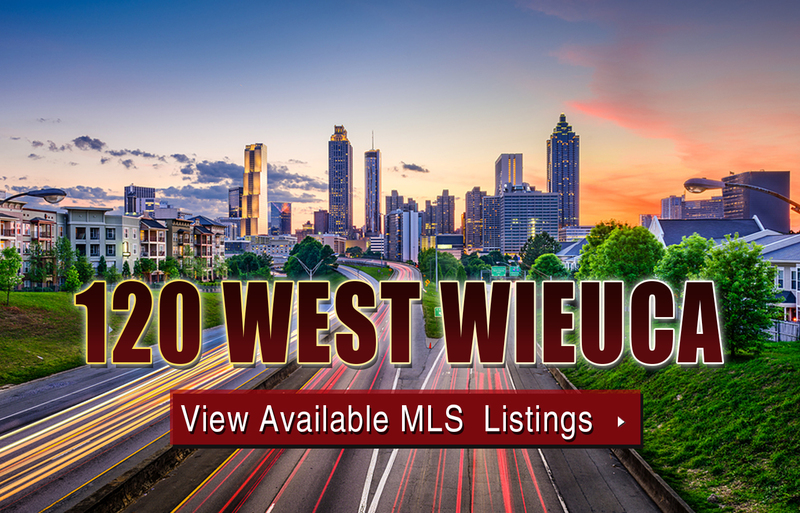 Can’t find what you’re looking for in Atlanta’s 120 West Wieuca community? Start browsing other Atlanta real estate for sale or give the Zac Team a call at (404) 564-7272 for help with your new home or condo search today!